Modeled on the WRHB the Fat Boy is handwound and constructed using 12 Alnico II rod magnets instead of screws and slugs. 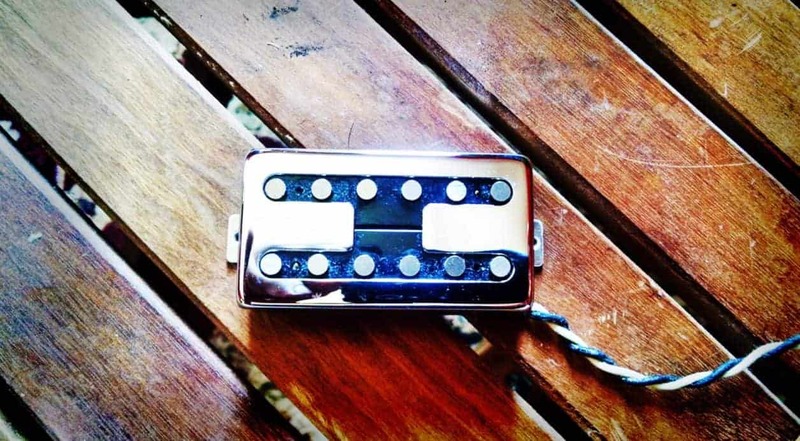 The tone is big, boastful, single coil but without the hum. This is a bright pickup without being harsh. The coil dimensions are different than the WRHB but the tone remains similar and produces very cool and unique tones that distinguish the Fat Boy from other humbuckers. Clear and articulate when turned down. Turned up these can easily drive an amp while retaining great note definition. I can make these with a variety of Alnico but they come stock with Alnico II.